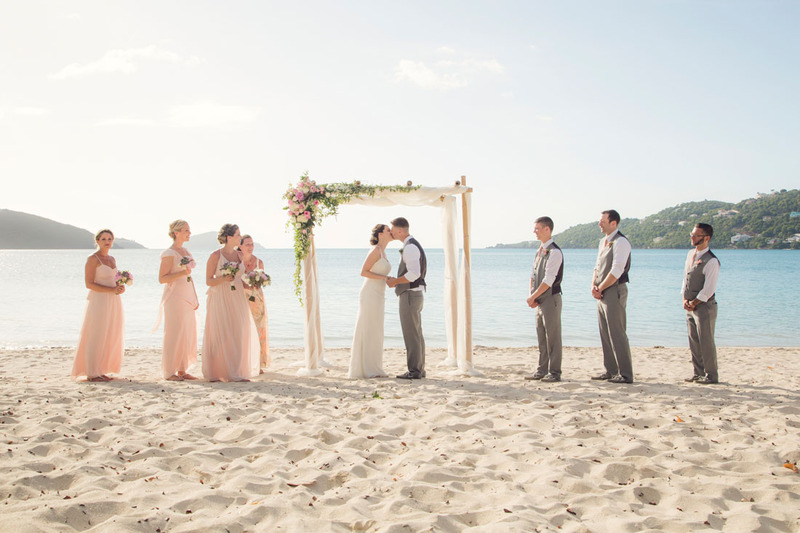 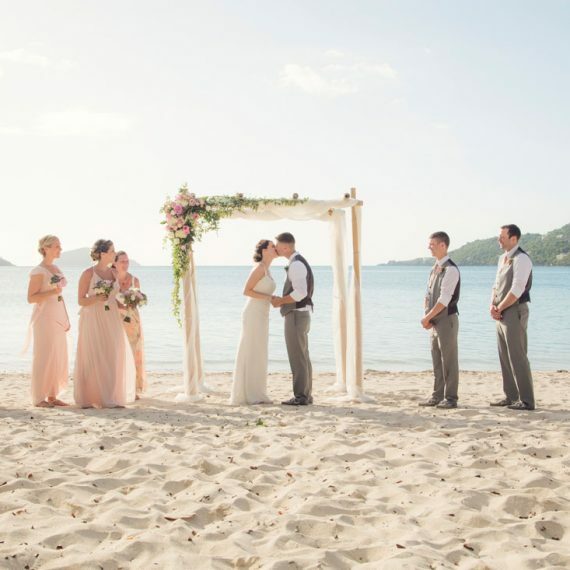 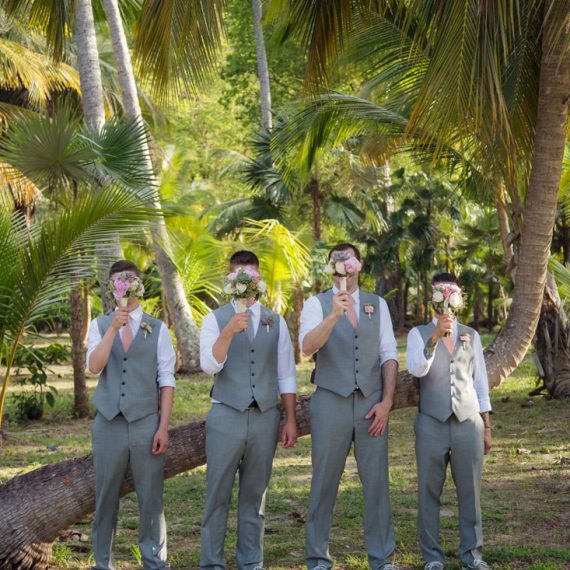 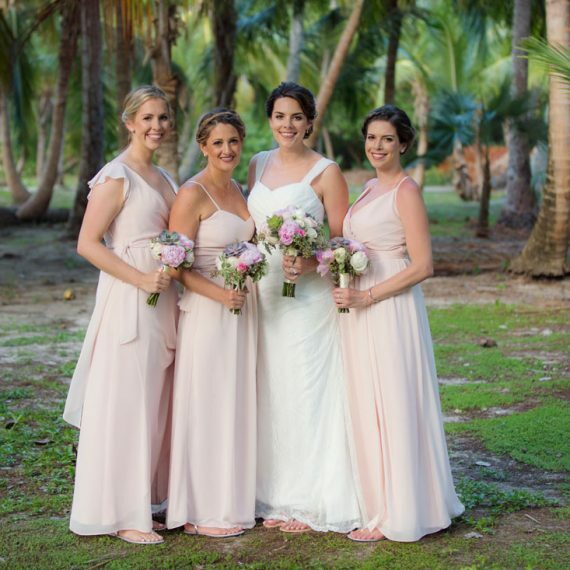 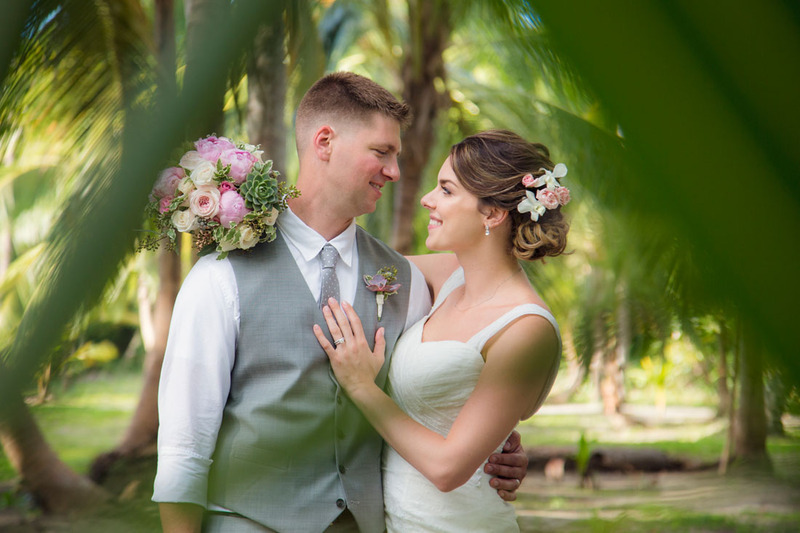 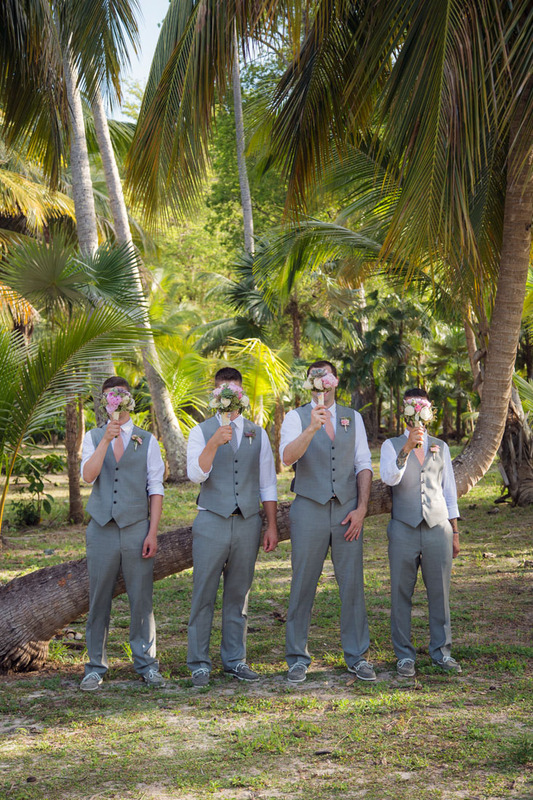 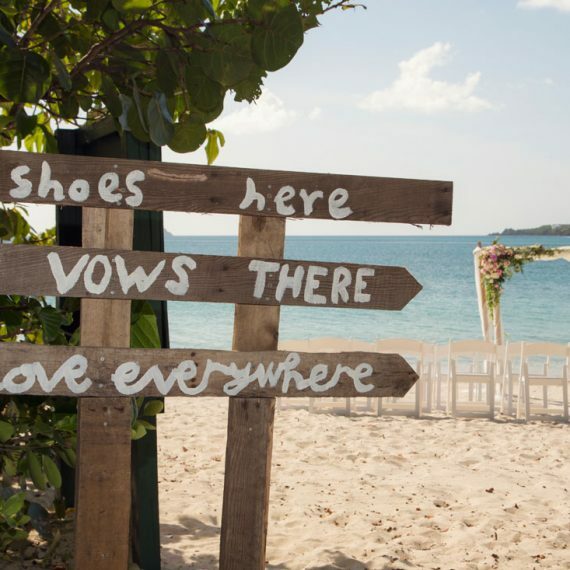 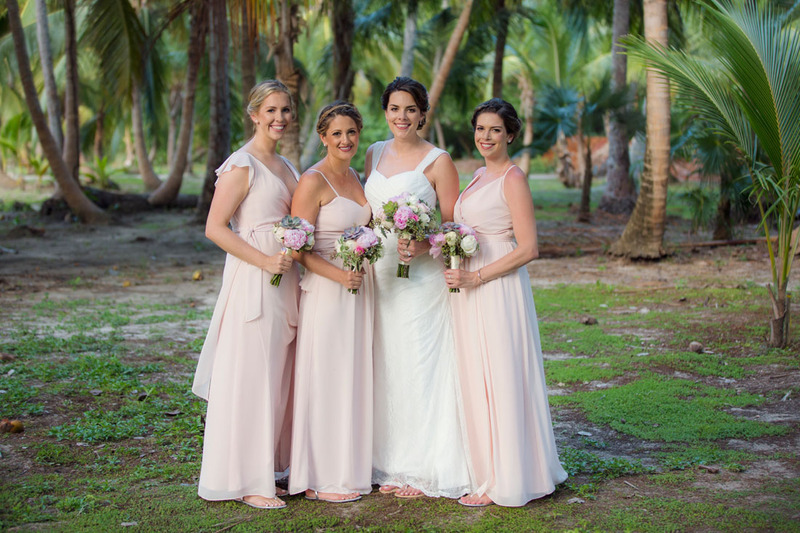 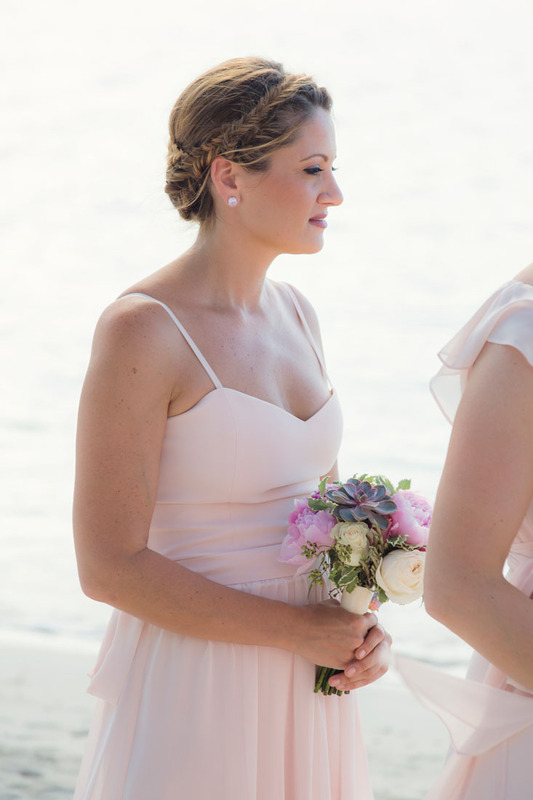 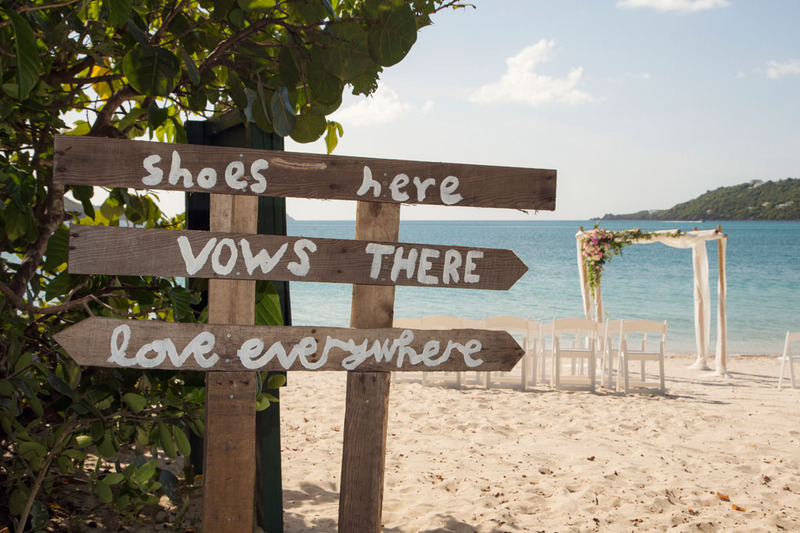 Ben & Jen fell in love and made their wedding dreams come true at the beautiful Magens Bay. 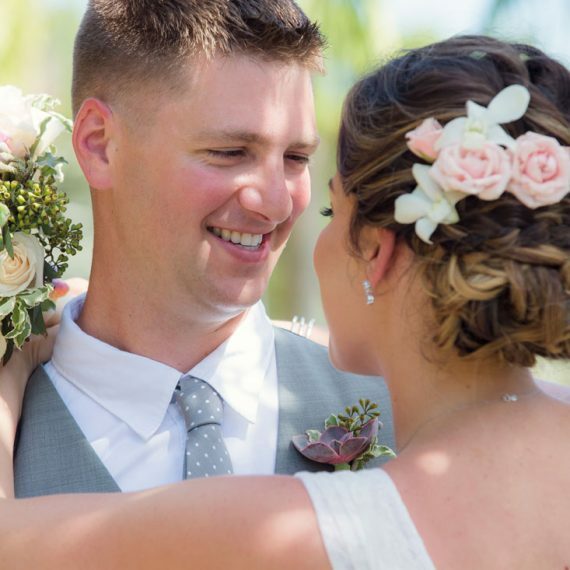 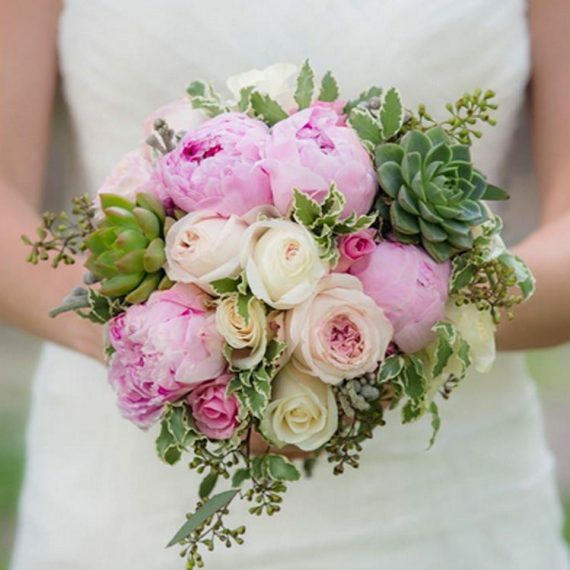 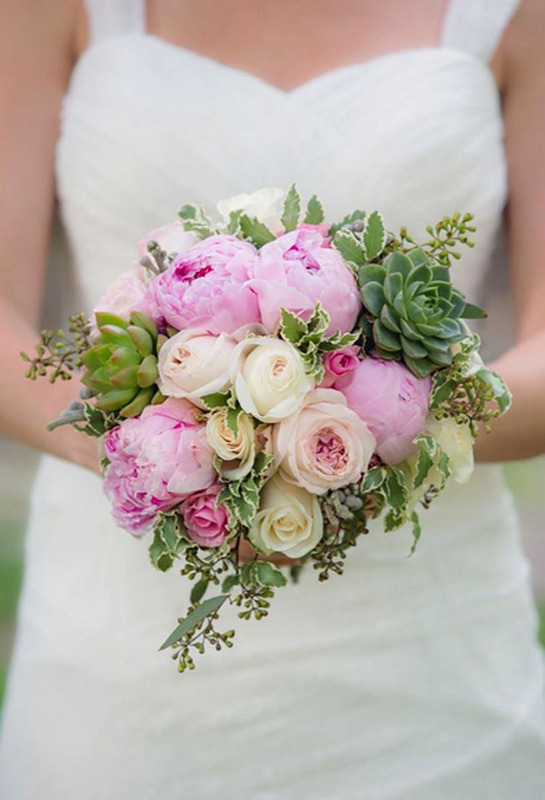 Flowers included custom bouquets, table centerpieces and other accents to their pink and grey theme. 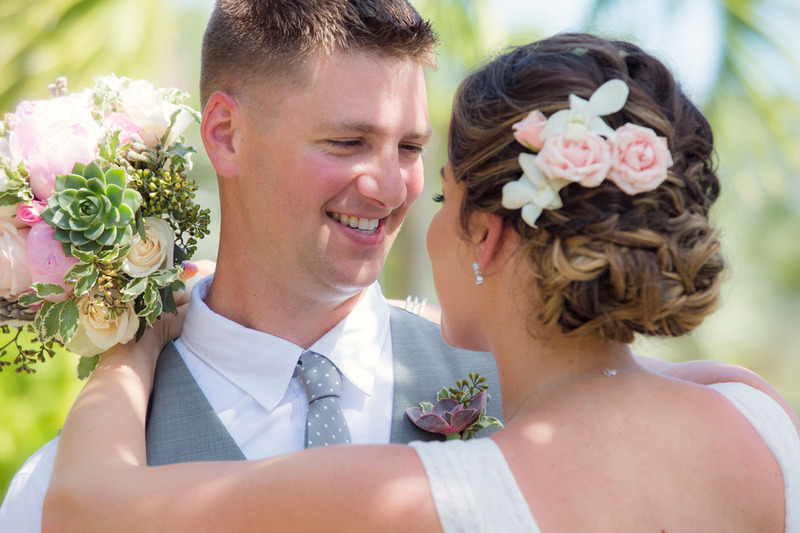 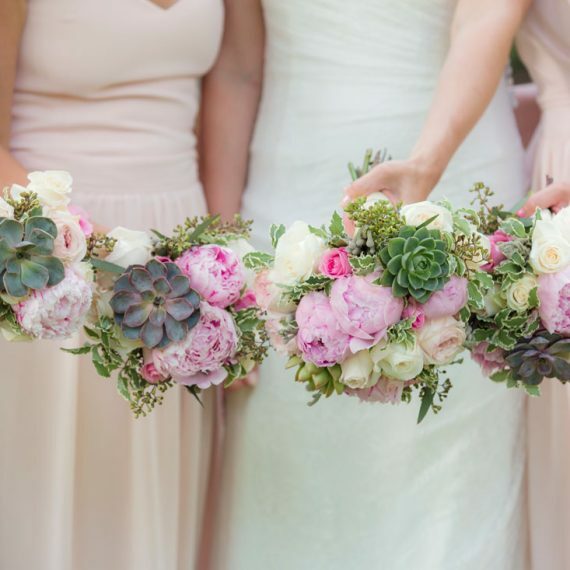 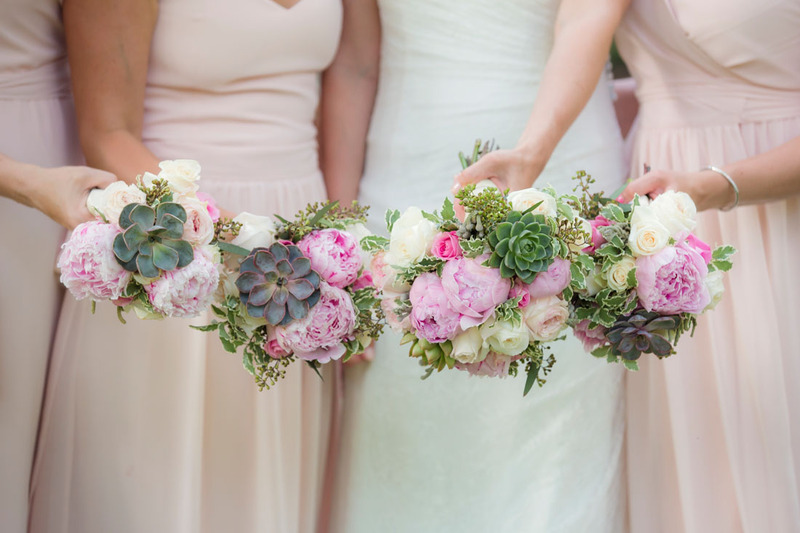 Bridesmaids and groomsmen all wore creations from East End Flower Shop to tie the look together. 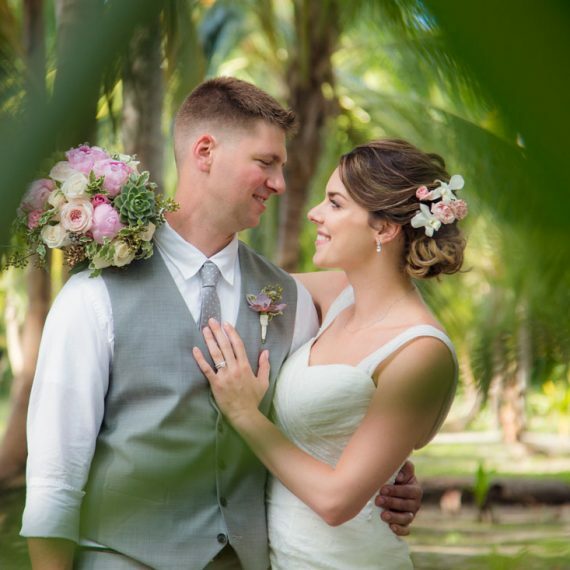 Everything was perfect from the floral beach aisle, custom arch, centerpieces, gift table and so much more.